HTML : HyperText Markup Language. A tag based language used to build web pages. Inbound Link : The synonym used for back links. Keywords : The major and important words used to identify the niche of your website. Keyword Density : The percentage of a given keyword or phrase. Keyword Stuffing : Addition of unnecessary keywords to a web page to lead search engines to consider the page to be more relevant. Link Popularity : Another term for back links. Meta Tags : HTML used in the header part of the web page to provide content and site information to search engine spiders. Mirror : As the name suggests its an identical duplicate copy of a website. Usually builts to provide the same infomation (without compromising the speed and availability) to visitors around the globe. Offsite Optimization : The method of increasing a web site's rankings and popularity by building good relationships with other relevant sites on the Internet. Optimization : Fine tuning a website or web page to achieve higher rankings in SERP. Outbound Link : Linking to another website from your website. PageRank : Google's algorithm for measuring the importance of web pages. PPC : Pay-Per-Click. Search engines that operate by charging website per-click to appear higher in the rankings. PR : Another commenly used short term for PageRank. Reciprocal Links : Two sites exchanging links by placing a link to each other on each site. Redirects : A way to send a visitor to a different page than the one found in the search results. Response Code : A one-letter code that indicates whether a transaction was approved or declined. Robot : A program that travels the web collecting data from websites. Also known as web spiders, crawlers or bot. Search Engine Optimization (SEO) : The practice of manipulating web pages and external factors such as linking in order to rank a website higher on the search engines result pages. Also known as Semantic Engagement Optimization. 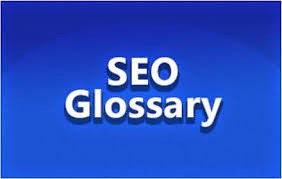 SERP : An acronym for search engine results page. Search Engine Submission : The registering of your website to the search engines for indexing. Spider : A program that visits and collects specific information from a web page, including the URL and indexing the keywords and text of each page it finds. Splash Page : Another term used for doorway page. Title Tag : Content that exists in the meta data of your page. This content often appears as the clickable title in the search engine results and will appear in your browser's navigation bar. URL : Uniform Resource Locator. URL stands for Uniform Resource Locator. It is the address of a web page. Each page has its own unique web address (URL). This is how your computer locates the web page that you are trying to find. ALT tag : Alt or Alternate text is the text that appears when you rest your mouse pointer over an image or a graphic or see in case there is missing image or when images are turned off in your browser. It is a very important tag as it is also used by the visually impaired as screen readers can read this text. Back Links : The links that points to a specific web page from another websites across the Internet. Also referred to as inbound links or incoming links. Bot : An abbreviation used for web robot or spider that crawls the web and index web pages for search engines. Cache : The contents of the web page that are last index by the search engine. A cached version of a web page can tell you what the search engine had seen in that page that led to its current ranking or positioning. Cloaking : Cloaking means to provide the different information for search engine spider and a human visitor. Crawler : A software program that visits and index the web pages. Also known as search engine spider. Cross Linking : Also knows as interlinking, its the linking between multiple sites to increase increase link popularity. CSS : Full form of CSS means Cascading Style Sheets. They are used to manipulate and easily manage the design and formatting of a website. Directory : Websites that list other websites and organize them into various relevant categories. In some cases the users can select the best suitable category themselves to submit their site and in some another cases there are human editors that review each website manually and if approved, they place them into the specific category in the directory. Doorway Pages : A page on your site not there to provide information but rather solely to rank for a specific keyword phrase in hopes that the visitor will go to one of your more useful pages after that. Gateway Pages : Another term used for doorway pages. Google Bot or Googlebot : Google's search engine spider or robot. Head : It is the major code block that exists on a web page and is essentially invisible to the visitor. This code includes the title, keyword meta tag, description meta tag, the robots tag and can also contain scripting and other additional information. Hidden Text : Text which is invisible to the human eye because it is set to the same color as the background. Header : There are traditionally 6 header tags ranging from <H1> to <H6>. These tags are typically used to separate a web page into logical parts, acting as titles for various page sections. It is commonly believed that header content is assigned a higher weight than standard content as it generally appears more prominently on the page. Anchor Text : Also known as Link Text, It is the visible text in a hyperlink that you click to go to another page or website.